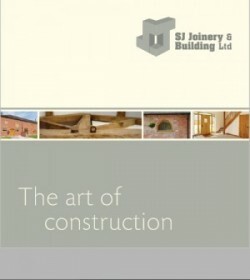 “SJ Joinery & Building Services“ are award winning residential and new build contractors – Constructing residential developments, homes, extensions and building alterations to a high specification. At SJ we get an immense amount of satisfaction from realising the vision of home owners, developers and architects. Whatever the size, complexity or design of your project, with our focus on detail, craftsmanship and dependable service you can be assured of top quality finish to your vision and project. We are experts in residential building and improvement services, including exterior restorations, interior renovations, repairs, alterations and more. We are fully licensed and insured and have been been in the building industry for over 20 years, maintaining projects from start to finish and satisfying clients with quality work consistently. Our success is based on quality assurance in the construction process and an open minded approach which improves communications with our clients. It’s this positive approach and personal focus that gives us the upper hand over many of our competitors. 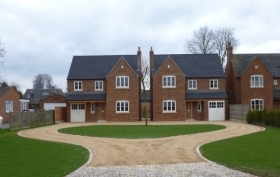 Our residential work is always done to the highest possible quality to not only make your home more valuable but also make it something you can be comfortable in and proud of, in fact we are one of the few award winning building companies in the Staffordshire area. We take great pride in each and every job regardless of size. We’re the full service residential building contractors and always try to surpass our customers’ expectations. Our philosophy is straightforward; It must be done right. We will not hurry the process to save money, because ultimately a badly completed job always costs more. We take great satisfaction in the quality of our work, finishing the job on time and within budget. You’ll know how much you’re going to pay with no hidden extras added on unless approved by you. We proved a detailed a meticulous estimate that accounts for each brick, nail, screw or piece of timber we use, something many of our competitors don’t do. We continually evaluate the construction project, and will advise you if we feel certain work isn’t needed, less money for us but a saving for you. We pride ourselves on being open and honest with our clients, our promise to you is to provide a quality building and construction service, looking after each house we build or project we work on as if it were our own home. So whether you’re looking at, adding a room, alterations/remodelling your existing property or building your dream home, we can help you achieve your goal.